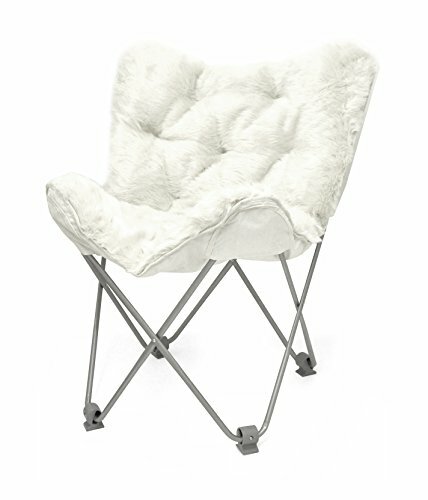 Update your bedroom or dorm with this luxurious Mongolian Faux Fur Butterfly Chair. Super plush and comfortable, this folding chair is perfect for reading, watching TV or just relaxing. This cozy chair is a perfect decorative addition to update any room with the luxurious Mongolian fabrication. Chair easily folds up and can be stored without taking up much space when not in use. No assembly required. Dimensions: 37.5" H x 29" W x 27" L.
If you have any questions about this product by Urban Shop, contact us by completing and submitting the form below. If you are looking for a specif part number, please include it with your message.